Dell has officially announced its exit from the smartphone industry. Jeff Clarke, Dell's top consumer products executive, made the announcement on Tuesday at the Dell World conference. Clarke says that smartphones require too much of an investment for a company to become successful. Pointing to Amazon's strategy, which involves selling tablets at break-even and more than making it up by selling content and storage, Clarke calls Android a "content play," and says that Dell could not find a way to make a business out of Android. Dell was known for its large screened devices such as the 5 inch Dell Streak which Dell dropped in August 2011. The Texas based company had stopped selling its devices in the U.S. earlier this year, although some units still could be found in China. That is over with now, as well. The whole Android smartphone deal with Dell was marred by company founder Michael Dell's feelings toward Google's open source OS. During the 2011 Dell World conference, he said that Android had not "developed to expectations." He blamed the software for the failure of Dell's smartphones to sell. But it is all water under the bridge as Dell has officially hung up on the smartphone business. The future for Dell remains computers and Windows based tablets. Clarke actually hinted that Dell is still looking at Android, but considering the past history, we wouldn't count on seeing the green robot hanging around Dell anytime soon. Has anyone other than Google or Samsung made any money off of Android? Actually, no. Only Samsung makes profits out of Android, and that's not because of Android, but because culturally Samsung is signified as opposition to Apple. If this weren't true, equal profits would be shared among strongest Android players in the industry. But the gap is extremely large. Save for LG (who controls the industry on different "channels"), all manufacturers usually don't have any profits out of smartphones/Android whatsoever. If OEM's didn't make money off of Android, they would never make phones for Android. Android sells the most phones worldwide & if it wasn't profitable, then why are SO MANY OEM's making phones with the Android OS? It seems everyone wants a piece of the Android pie. For example Microsoft makes more money from Android sales than they do from their own WP sales. That speaks volumes don't you think? HTC also makes a profit off Android, albeit a very small one compared to Samsung. Google makes money off of everyone, that uses Android to run their products. If you mean Google makes money through manufacturers that sell Android phones due to Google services being on it that people would then use, then yes. However, if you mean Google charges manufacturers to have Android on their devices then you are wrong. Any licensing fee on an Android device goes to Microsoft because of the usage of their patents. Your first scenario is exactly what I meant. yea, pretty much. Samsung is the big profiteer from android but LG does make some SLIGHT profits off Android (nothing to write home about) and HTC previously was making profit but reported recent losses. I'm sure the manufacturers do make money, the only problem is that the market is so dominated by Samsung and Apple that the remaining profit to be made is so little especially for Dell. As long as the devices sell, there's profits to be made. The competition is just too fierce. I agree. This is why I am a true skeptic about an Amazon branded smartphone or a Surface WP. It is such a eat your own young market that no matter how big it is, and it is unbelievable huge, breaking into it and turning a profit is a monster gamble. This is like when Amanda Bynes said she quit acting. 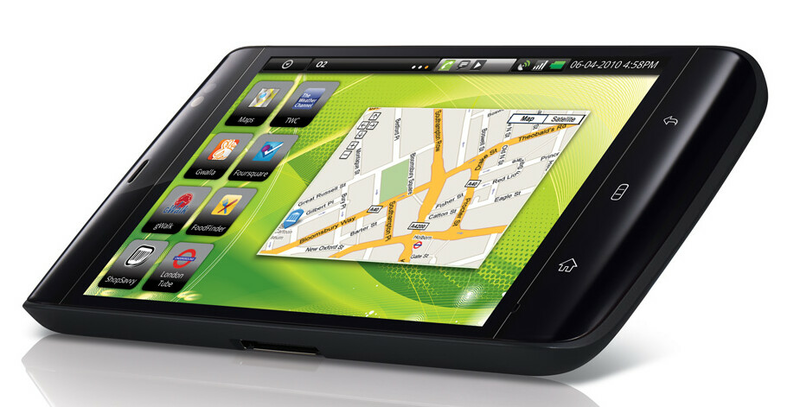 The Dell Streak was the original phablet, but the GALAXY Note made them popular. The only Dell smartphone I wanted was the Venue Pro, which was a WP7 smartphone. Since Dell is still sticking with PCs and laptops, I think they should take another look at Windows Phone, especially since WP8 is a vast improvement, especially in terms of hardware. Maybe they can find their niche with unsubsidized WP8 phones, now that T-Mobile classic plans are going away. I still have a dell streak 5. haha baught it when it first launched. Running MIUI or CM10 depending on the day. I moved on to a Galaxy Note II But i still use the Streak5 is a universal remote for my media center and NAS. love it. Your typical android fanboy doesn't understand supply-side economics. Dell Venue Pro ...love it !! Almost bought a DVP when I wanted to replace my dying BB Curve early last year. Had I had access to one to try it out, I may have jumped on it. Lack of accessibility really gave it no chance. I'd love a WP8 follow up to the Dell Venue Pro. That'd be a must buy for me. It'd fill up a niche in the WP8 market too, a nice QWERTY phone. He blamed the software for the failure of Dell's smartphones to sell. Dell you're kidding right? see, another company that failed to get traction from android... this just prove that android is not really the only choice!! coz if you want android, people might think of samsung, sony, HTC, motorola and LG, others are just shadows! see, another company that failed to get traction from android...and WP. unless you don't see the Dell venue pro as a smartphone. but that is actually a good device..but WP7 is not a good OS too many restrictions..WP8 is!!! Well then dell, continue making Alienware computers then. "The future for Dell remains computers and Windows based tablets." 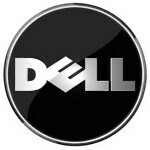 The above is true for consumers, but Dell is a huge player in the enterprise world. Lets not forget about Dell's servers, network switches (Force 10) and storage solutions (Compellent). Okay. So who else has gone under in the smartphone dept because "Android had not developed"? Guess that WIndows phone of theirs must of been keeping them afloat all this time. Here's a hint: better hardware & design.